Though majority of world has now been digitalized, printing is inevitable in some situations, especially when we take the case of offices. However, printers have changed a lot; while normal printers including Konica Minolta Printers are trying to bring impressive features onto the stage, another world of printing is trying to commercialize 3D Printing. In addition, some upcoming printing technologies are worth checking out. Yet, when we consider the case of printing, at home, we can find a persisting issue – quick loss of printing ink! Although it might not seem to be a major issue, it will become so when you are using that printer to take printouts in a massive manner. Yet, you can defeat this loss if you follow some simple tips to save printer ink at home. In this article, we will share some of such tips to reduce use of printer ink in an effective way so that you will be profited in the long run. Note – When you want to save printer ink at your home, there are several options available for you to use. However, you have to follow some tips in different sections. For instance, while you have to optimize your document in such a way to consume less printer ink, you have to set some changes in your printer to save ink. If both of these actions go hand in hand, you can notice a huge difference in usage of printer ink. Ecofont is an excellent way to reduce use of printer ink, especially when you are printing for home purposes. As that name suggests, Ecofont is a special type of font for Windows, Mac and Linux, optimized to keep consumption of ink as low as possible. Developers of Ecofont say that you can save up to 50% printer ink when you prefer Ecofont font to others. What makes Ecofont consume less printer ink is that it has holes in each letter. In that way, Ecofont does a very good job in reducing use of printer ink. Although these holes may not be that appropriate for official purposes, it will be easy to use when it comes to printing at home. 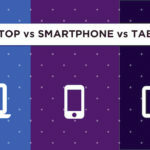 Indeed, Ecofont will be much useful among these tips. If you are still doubtful about this, you can check official website of Ecofont, and it will tell you how Ecofont works. As a matter of fact, mistake while printing is one of the prominent issues causing overuse of printer ink! When you’re printing from home, you care less about mistakes in the document you have typed or created. In most of such cases, you will understand those mistakes only after taking the printout, and you will have to print again in order to get one good printout. Obviously, in this way, you will have to face loss of printer ink, which is not good! So, if you have done with creation of document, you SHOULD check it several times for mistakes, including grammatical, spelling and a lot of other errors. In this way, you can save not only printer ink but also paper you use for printing purposes. When we put this simply, you have to revise and revise before hitting the ‘Print’ button. When you print pages directly from websites, especially articles, there will be different kinds of unwanted content in those pages. Usually, it is not that easy to remove that content from those pages. However, you can make use of a few websites like PrintWhatYouLike to print what you really want to see printed. For instance, when you’re printing a page from Wikipedia, it will include some superfluous elements such as the menu of contents, images that are not necessary etc. Using the mentioned websites and other sites like that, you can optimize that page to make use of less printer ink when you print it for home. When compared to printing in black and white manner, printing in colour consumes more printer ink! So, whenever coloured printing is not necessary, you should it prefer black and white printing to it. More than often, we prefer to print in colour even though black and while printouts would be sufficient for the purpose. Furthermore, when we do compare black and white cartridges with coloured cartridges, the former one is more affordable. So, when you are preferring grayscale printing to colour printing, you can save printer ink as well as your costs to buy a new cartridge. Use Preview feature in your Word Processor to make sure that layout and other aspects of document are in a manner that fits your requirements. Do not try to clean your printer heads unless the situation really needs you to do it. Doing so will cause loss of printer ink. Stay calm when your printer reports cartridge is empty; there will be some ink left, and use it until it is really over. 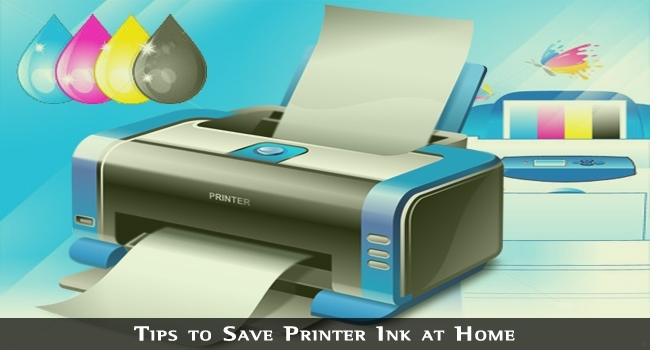 We hope these tips will be very useful in saving printer ink while printing for home purposes. Did we miss any of such tips? If so, do let us know using your comments. Print What You Really Want, that’s really helpful , sometimes you can’t control your mind and over using with your printer and that’s not a good strategy. stick with your plan and your can save your budget. Well currently using a INKJet printer of cannon and sometimes it works really wiered like not printing correctly. Easy on the color. Lighten up. Get more out of your ink. Good tips here. I know I’m more careful to watch for mistakes when I’m printing a lot but I never thought of how those occasional reprints add up. Thanks for the tips. These tips are very helpful. I feel this will help me save a lot of money and time when it comes to printing at home. I never even knew the EcoFont even existed. I am going to go find out what it looks like now. That third tip about printing content from websites is so golden to what I needed to read. It is hard to print a web page and get all the extra fluff that the actual page provides. That extra stuff turns into ink that gets used for needless purposes. I’ll have to check into those sites that can help me collect the web page information I do and don’t want. Knowing about Ecofont is something that’s I have yet to know about. Both my wife and I are in the business of doing printing services for several of our clients. We do duplication tasks almost every week to help our businesses. As tip four explained, removing the unwanted parts of a website when printing a page from it can be quite difficult, as I well know. Normally, I take a screen shot of the parts that I would like to print, but then this requires formatting the photo in a word document. This process, while effective, is quite convoluted and time-consuming, so I quite appreciate you sharing the website for altering the page you want to print. Hopefully it will make printing directly from web pages much easier in the future. Do you know if this works on websites with pages that have continuous scrolling? Thank you for sharing such a wonderful post. I learned a lot from it. Hoping to see more of your great post here on your blog. Great line drawn on save printer ink, We are since 15 years in the ink cartridges industry. However, you mentioned the tips to reduce the ink at printing. Your article inspired me to flip more article. We focus more on our product to produce more stuffs. Let me update it regularly. I bookmarked your url. Ecofont is something I was not really aware of. Till now I just knew that I need to give a print command but henceforth I will surely be using Ecofont for all the printouts that are required for my personal use.